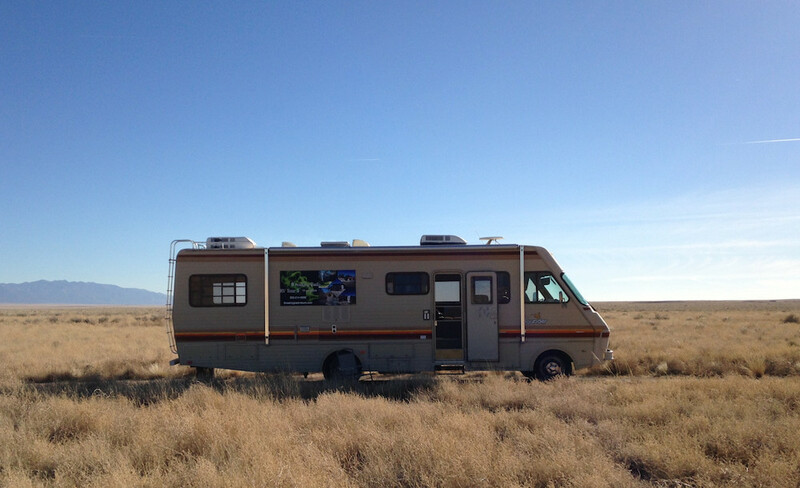 The first VIP pass holders get a free 1.5 hour tour on the screen accurate Bounder provided by Breaking Bad RV Tours. VIP Tours SOLD OUT. Go to www.breakingbadrvtours.com to find out about other available tours during the weekend. SELF GUIDED TOUR: Ron McRae, a long time BrBa fan, created this awesome printer-friendly guide to Breaking Bad locations throughout Albuquerque! The RV tour will be departing from and returning to the Albuquerque Convention Center on 2nd St NW between Tijeras Ave NW and Marquette Ave NW.